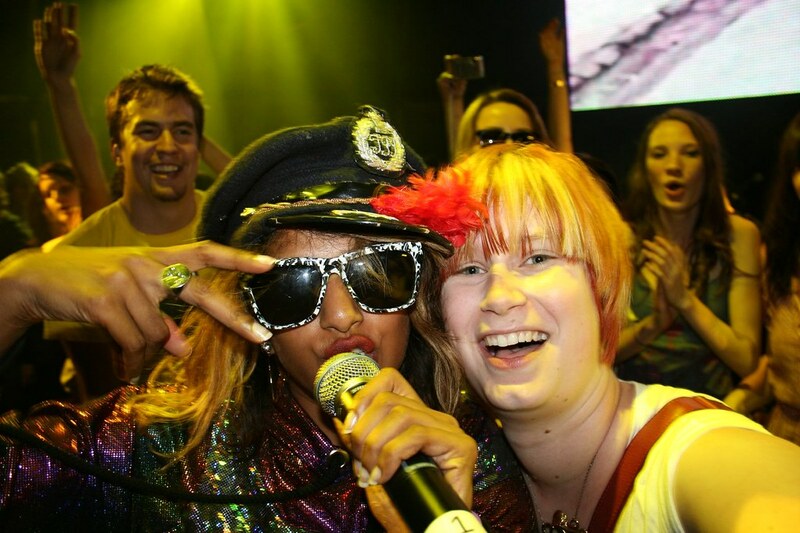 A friend who went to the Melbourne Parklife gave me a heads up that M.I.A invited a bunch of audience members onto the stage during Bird Flu so I was ready and willing when the call was made for people to jump on stage with her in Perth. It was the most surreal experience dancing (and singing!) 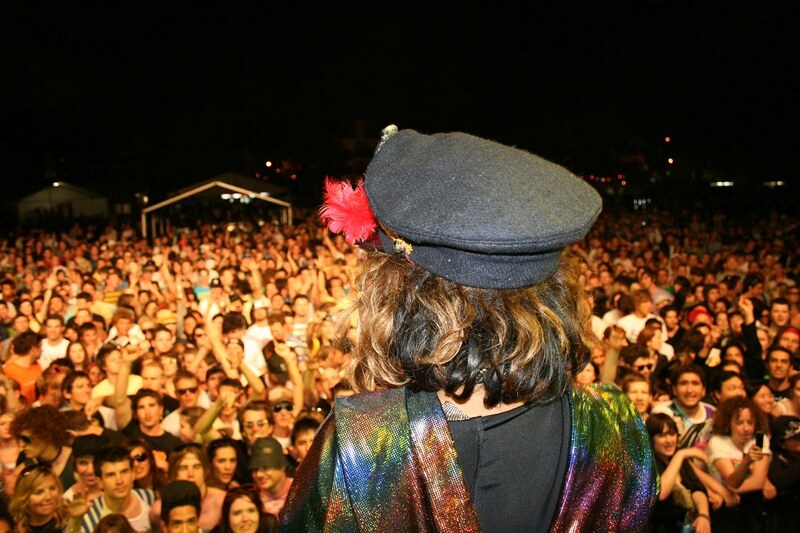 onstage with my favourite musician… When the song finished and the stage was cleared I somehow managed to get side of stage where I met Yelle and tried to communicate with her using my limited French vocabulary. All I can say is that tonight was the best night of my life! oh what – that’s so awesome! 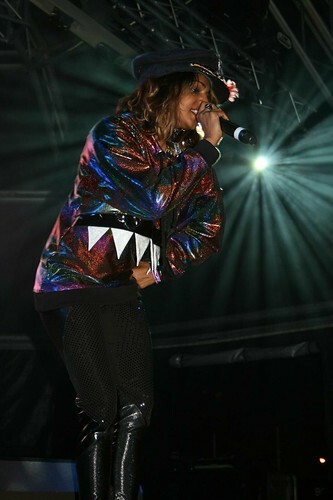 i wonder if she was wearing brian lichtenberg…he usually dresses M.I.A. hmm…her top looks tacky, but the leggings are cool. anyway, go you! 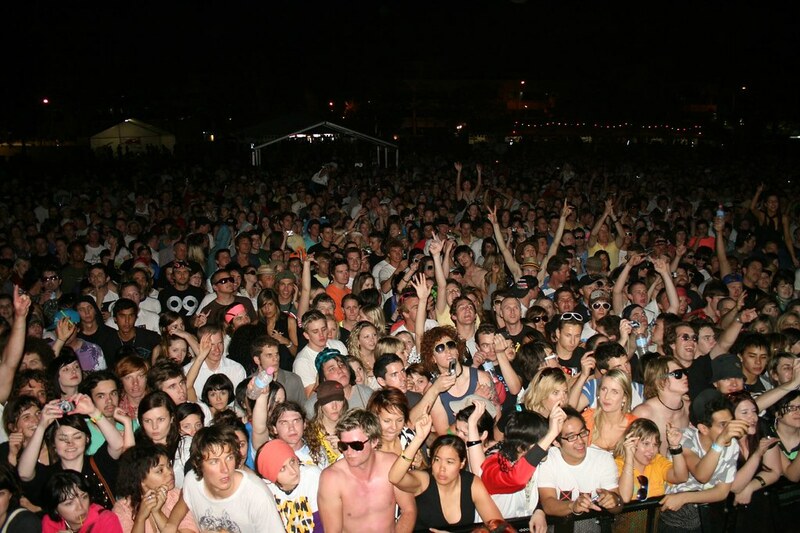 wow i was so jelous when i saw everyone up on stage, and meeting yelle, wow! yeah i think it may be romance was born, ive seen some shorts which have the same tooth/teeth thing going on! anyway congrats, and awsome photos. it is romance was born, 100%! and dude, its the hologram love! 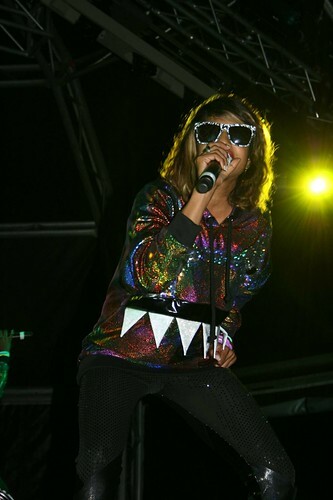 she may wear brian lichtenberg but M.I.A doesnt use a stylist/dresser for shows, she wears what she picks from the many designers clamouring to give her clothes, these include jc/dc, cassette playa, romance was born, jeremy scott, ksubi and pejoski…, and any hows, when styling is needed she uses her mate carri mundane from cassette playa fame, she did most of her amazing videos and collaborates on artwork too.